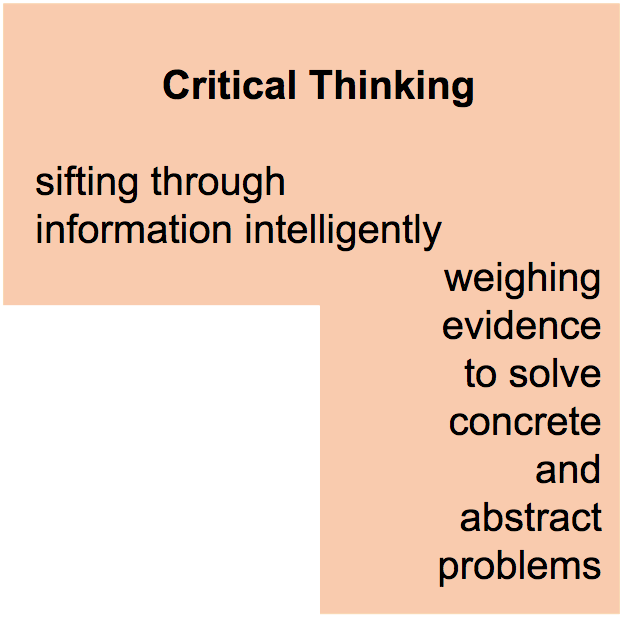 ​Critical thinking enables students to assess, accept or reject, and make connections between information gained from a variety of sources and senses. Students' ability to observe a phenomenon, take note of patterns based on previous knowledge, infer relationships and meaning, and form a hypothesis or predict cause-and-effect enables them to connect fully with the world around them. The expansive information available about ideas and events must be filtered and analyzed, authenticated and processed, and eventually must be synthesized in a new creative form that will be useful and engaging to the student and the community around them.